experience. It all starts with a warm welcome of a chocolate chip cookie at check-in. 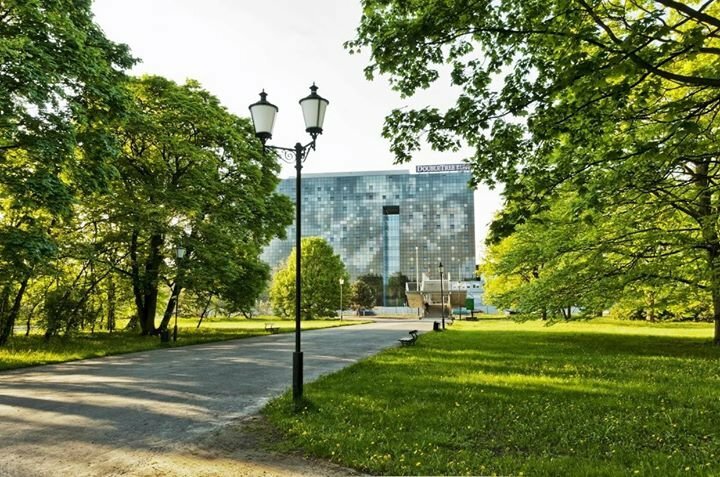 Conveniently located in the city’s commercial center, just 1 km from one of Europe's longest commercial streets - the famous Piotrkowska Street, with its many pubs, restaurants and shops, our inviting hotel offers spectacular views overlooking Poniatowski Park. 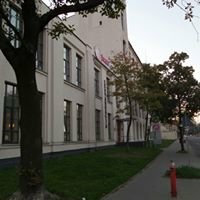 We are also just 3 km from Manufaktura Shopping and Entertainment Center, 6 km from Airport Lodz (LCJ), and 1 km from Lodz Kaliska Railway Station. Unwind in a spacious and comfortable guest room, deluxe room or suite at this stylish Lodz hotel and enjoy modern amenities including HDTVs and complimentary WiFi access. Stay active in the complimentary 24-hour fitness center or simply relax in the top-floor SPA (open 6am - 10pm), boasting four treatment rooms for beauty and massage, a whirlpool and an indoor swimming pool. Dine in the stylish Four Colors Restaurant and enjoy delicious international cuisine for breakfast, lunch and dinner. We also offer a tempting room service menu for your convenience. Business guests will appreciate our proximity to downtown Lodz, offering easy access to many important businesses and corporations. 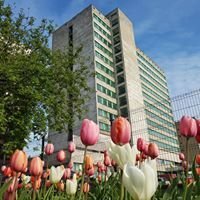 Host a business meeting, conference or social event in Lodz at this contemporary hotel with extensive conference and banquet facilities, including nine flexible meeting rooms and a spacious ballroom, all with the latest A/V equipment.